Thank you for taking time to visit my Blog that features timely information about District 6, important legislation ticklers, and much more. Be sure to check back often. I welcome your letters, emails, and phone calls. Your views are important to me as I visit with each community and develop a list of your priorities for the next legislative session. Over the next several months I want to hear from you. If you would like to receive my newsletter, use the contact information in my Representative Stevenson website to let me know so that I can include you in the distribution. I pledge to represent you in a way that will help preserve these blessings we enjoy. What a career! What a model for Idahoans! I am honored to have served the Legislature while this man was interim. Join us to honor Don Burnett former University Interim President and Dean of the College of Law upon his retirement. 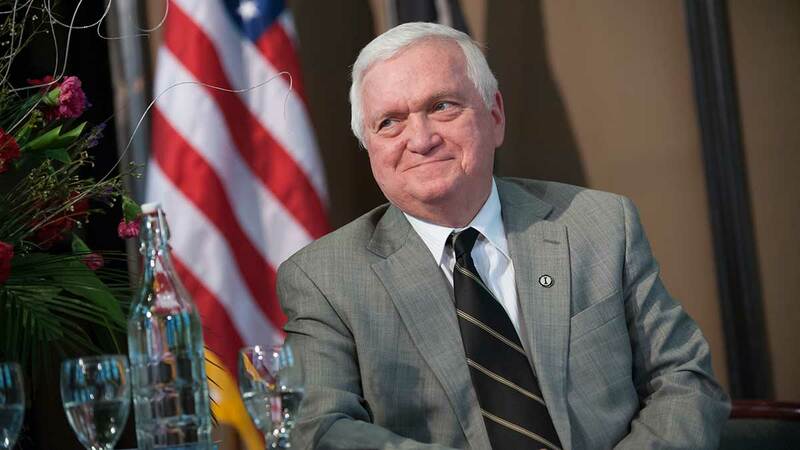 Don Burnett will retire from the UI after 14 years of service, during which he served as interim president and dean of the College of Law. As a professor, Don taught Professional Responsibility and Civil Procedure. He played a significant role in the creation of the Idaho Law and Justice Learning Center and currently serves as coordinator of its advisors. The Idaho Legislature adjourned its 2014 Session on March 21. There was plenty of debate and a great deal of cooperation to get things done for Idaho. I want to thank you for allowing me to serve you this term in the Idaho House of Representatives. It is truly an honor and a privilege. You will hear much negative conversation about Idaho’s economy and its future. I do not share that view. The economy continues to grow and my optimism for Idaho’s future grows as well. I am running for re-election as your Representative and can still use the support you have given me over the past two years. I face a tough challenge in the General Election, but I am the ONLY candidate who brings to the table the right combination of relevant public and private-sector business background AND the necessary legislative experience to fulfill the role of your Representative for District 6. I take my responsibility as your Representative very seriously, and I appreciate hearing from you. Please give me the benefit of your opinions, which allows me to serve you and our communities. A call for Lewiston area residents – with an emphasis on high school students – to produce videos that highlight professionals demonstrating how they use STEM in their careers. 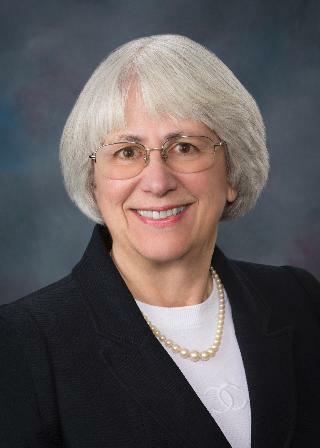 Representative Thyra Stevenson, (R-Lewiston) District 6, has received the Idaho Farm Bureau Federation’s (IFBF) “Friend of Agriculture” award. – The Bravo! Common Men, Uncommon Valor documentary: Idaho Public Television’s World Channel Sunday, November 10, at 8:00/7:00 p.m. MT/PT. To coincide with Veterans Day, DIALOGUE host Marcia Franklin talks with husband and wife filmmakers Ken and Betty Rodgers of Eagle. Their recent production Bravo! Common Men, Uncommon Valor is a documentary about the 1968 siege of Khe Sanh in Vietnam. The two are joined by California resident Steve Wiese, a veteran of Khe Sanh.